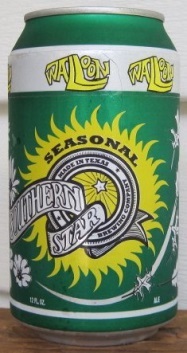 Galveston Oktoberfest to Feature Selections from Saint Arnold Brewing Company! The countdown to Galveston’s Oktoberfest continues, and today we’re highlighting the selection of Saint Arnold brews visitors can enjoy at this weekend’s big event. 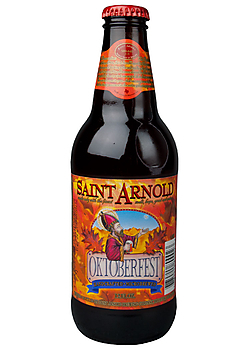 In addition to the tried-and-true Oktoberfest brew, Saint Arnold Brewing Company will also offer a taste of something new with SANTO – which hits stores TOMORROW! Originally scheduled for release in August, SANTO has been reworked and perfected just in time for the annual celebration. Although Saint Arnold Brewing Company founder and brewer, Brock Wagner set out to create a dark Mexican lager, perfect for pairing with a plate of enchiladas, the recent addition of “Munich Malt” might make it easier for attendees to enjoy the brew and still feel a bit festive. While the “black Kölsch” may be dark in appearance, the beer maintains other characteristics of a true Kölsch. Crafted from special Kölsch yeast – an ale yeast that ferments at almost lager temperatures – Santo remains light bodied and floral despite its distinctive dark malt flavor. To give you the full scoop, Santo is brewed using pale two-row and pils malted barley, a dash of Munich malt and an addition of black malt along with Hallertau Hersbrucker hops, which are added to the brew kettle in four separate cycles in order to create its delicate flavor and aroma. The brew will be available year round, but this weekend is the perfect opportunity to give it a try while enjoying a great event! If that doesn’t interest you, there’s always the award-winning, slightly sweet OKTOBERFEST seasonal ale. Originally released in 1997, this Saint Arnold’s signature is crafted from a mixture of three different types of Munich-style malts and two central European noble hops varieties. 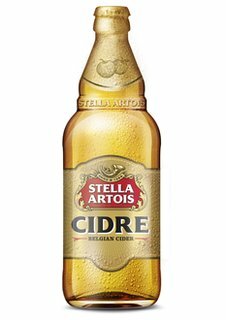 With a rich caramel flavor, it’s no wonder to us why this brew remains a popular choice for celebrating the fall season. 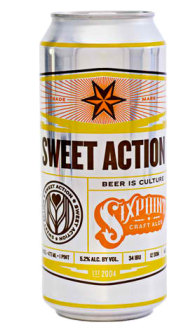 Now, that covers what you can expect (from Saint Arnold) at Oktoberfest, but no conversation about the Houston brewery would be complete without at least a mention of the new wildly popular and extremely hard to find PUMPKINATOR. While the brew will not be a part of the Oktoberfest celebration, beer fans anxious to get their hands on a sample of the brew are invited to join the Pint Jockeys at their monthly tasting event, also TOMORROW, at the Del Papa Distributing Co distribution centers in Galveston, Beaumont and Victoria. We’ll have Pumpkinator, Santo and a host of Halloween-themed brews on tap! Whether you make it out for tomorrow’s sampling or this weekend’s big celebration on the island, we look forward to seeing you there! Have you had the opportunity to try Santo or Pumpkinator? Let us know what you think of the brews in the comments below! And don’t forget to check back tomorrow for another round up of Oktoberfest brews!